How frequent is turn up and go transport? Jarrett Walker at Human Transit likes to point out that “frequency is freedom”. This is the idea that, at some point, public transport is so frequent that you can throw away the timetable and just “turn up and go”. Frequency like this is even more important in an integrated network where connections are common, as commuters are waiting for not just one bus/train/tram/ferry but two or more. But how frequent is this exactly? Is it every 5-7 minutes? Is it every 10 minutes? Is 15 minutes enough? It appears that transport experts agree it is somewhere in this range (between 5 to 15 minutes), any less frequent and people start relying on their timetables, any more frequent and the time saving of a few minutes no longer makes a difference. For a good discussion on the topic, check out Jarrett Walker’s blog post on the topic: How frequent is freedom? Make sure to read the comments section!! And for more on frequency in a Sydney context, take a look at my previous post on transport frequency in Sydney. Will the Parramatta to Epping Rail Link be built any time soon? The short answer is no. Unless you consider 2036 to be soon. The Parramatta to Epping Rail Link (PERL) was planned to be built by the previous Keneally Labor government and had obtained a $2.1 billion funding commitment from the Commonwealth Labor government to get it built. This was promised during the 2010 federal election campaign and seen as a porkbarelling exercise to get more Labor MPs elected from Western Sydney, which would benefit from this new line. The state Liberal opposition, under Barry O’Farrell, instead promised to build the Northwest Rail Link (PERL) and to defer the PERL. 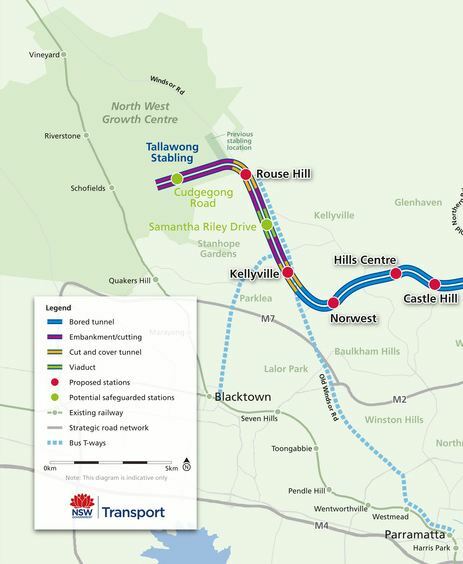 O’Farrell beat Keneally, and this resulted in a deadlock between the NSW and Commonwealth governments, each having promised to fund or build one line and not the other. O’Farrell argues that the NWRL is more critical and wants the $2.1 billion of funding transferred from the PERL to the NWRL, but has declared that he will build it whether he gets the money or not. If no agreement is reached, then everyone loses. Personally, I think the only was to get a solution here is to form some sort of compromise. Something that links Parramatta to Macquarie Park (which is what the PERL is designed to do) would do this, thus allowing the Commonwealth Government to be satisfied that its election promise has been satisfied, albeit with a non-heavy rail solution, while allowing the NSW government to focus on the NWRL. BusNSW have put forward one option that would do this – a bus only transitway (like the current T-Ways between Parramatta and Rouse Hill/Liverpool) between Parramatta and Macquarie Park. The advantage of this option is the low cost: $250 milion, compared to a revised $4.4 billion cost of the PERL. Note: News story in video below starts at 0:20 seconds. Parramatta Council have also offered proposals. Their first was a re-routing of the NWRL via Parramatta and then along the PERL alignment. This proposal was unworkable as it would delay trips between the Northwest and Macquarie Park/Chatswood/St Leonards/North Sydney, while also relying on an already strained Parramatta-CBD rail corridor to transport commuters into the city. As there was also good transport links between Parramatta and the Northwest via the existing T-Way, the NSW government rejected this proposal. I personally agree with the state government in this case. 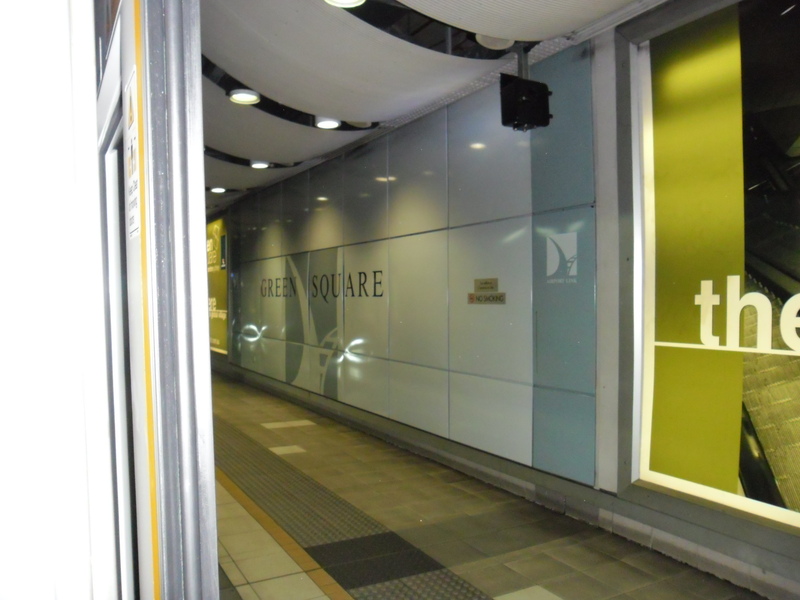 More recently, Parramatta Council proposed building light rail instead of heavy rail in order to connect Parramatta to major centres in Western Sydney, including Macquarie Park. Ultimately, I am not as fussed about the mode of transport chosen as much as I am about the willingness of the different parties to negotiate and come to an agreement on this issue. On that basis, I think Parramatta Council is onto a winner with its strategy. The same cannot be said of the NSW or Commonwealth governments, who up until now have not budged from their positions and have not showed any hints of accepting a compromise outcome. It is looking more and more likely that Sydney’s troubled monorail will be removed from CBD. Sydney City Council has wanted the monorail removed to make way for light rail, with Lord Mayor Clover Moore having opposed the monorail ever since it was first built back in the late 80s when she was the local state MP (see video below). Now it appears that the state government is also shifting to a position to tear down the monorail, having told the redevelopers of the Entertainment Centre (through which the monorail passes through) “don’t let the monorail constrain your thinking”. The history of the monorail dates back to the 80s, when redevelopment of Darling Harbour (along with neighbouring Pyrmont and Ultimo) was a major urban renewal project designed to co-incide with bicentenary celebrations planned for 1988. Part of this urban renewal included plans for a new transport link into the area. The choice came down to light rail or a monorail. The decision to ultimately go with the monorail appears to have been a political one, motivated by the minister responsible Laurie Brereton, who took responsibility for the project out of the committee and into his own hands. A detailed SMH article explaining the behind the scenes events that led up to this was published in 1988 notes that the light rail option was described as the “best long-term solution” but that the monorail was chosen because Mr Brereton personally supported it, as did Premier Neville Wran. A light rail line would eventually be built in 1997 between Central and Lilyfield which is now being extended through to Dulwich Hill. The current O’Farrell state government has also pledged to extend this further through the CBD (most likely down George Street), to Sydney University and to UNSW. 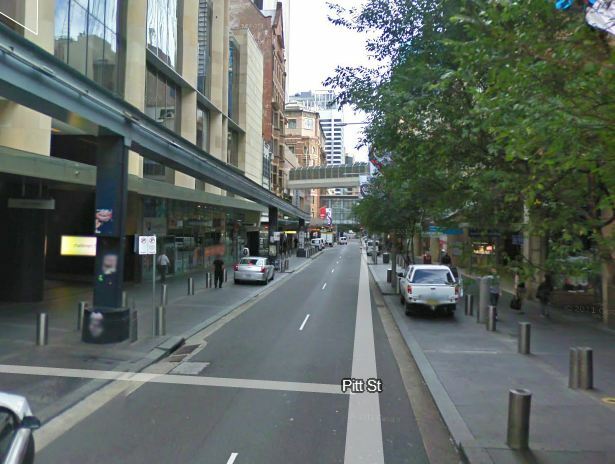 However, putting the light rail on George Street would mean re-diverting some traffic down other streets (potentially removing all private vehicle traffic altogether from portions of George Street) and one option is to make Pitt Street a two way street again by removing the monorail’s pylons from the ground and thus allowing a constant flow of traffic along what is now a parking lane only (see image). I had previously supported the idea of keeping the monorail, it’s already been built and runs at no expense to tax payers. But if removing it in order to replace it with a more effective and more efficient light rail system would improve transport options, then I think it’s a good move.